No visit to this port should miss a tour of the Popes' Palace. You casn do a self guided tour, a tour with a headset for a couple of euro or a complete guided tour. There are plenty of videos inside - furnishings inside are scant. Still the place is beautiful. Be sure to browse the Seasonal Local Market - 20 local growers from Avignon and the area. Monday evening from 5 pm to 7: 30 PM. 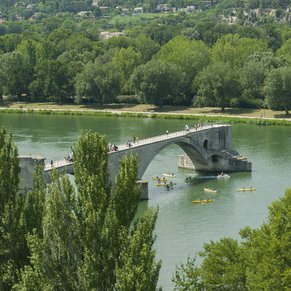 Some interesting shopping areas to visit are Rue de la Balance for Provencal souvenir shops; Rue de la Republique and the Pedestrian area of Avignon. Good prices. Consider the Mini Train Audio Guided Visit. The train starts from the Palace of Popes and it runs from 10 am to 7 pm. It costs 8 Euros when i WAS THERE. 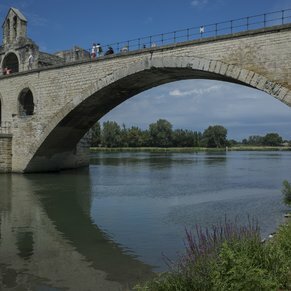 There are currently 2 discussions about Avignon, France.